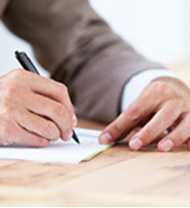 We can help with authentications, translations, and obtaining international driver permits. We also do standard 2in x 2in U.S. sized photos. 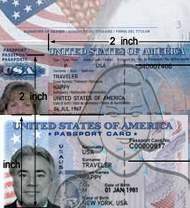 These are acceptable for U.S. passport books, passport cards, U.S. visas, etc. 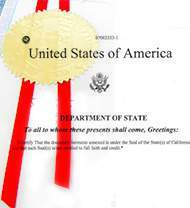 They are also widely acceptable in obtaining a visa for many countries. 2″x2″ standard sized U.S. photos can be taken on a walk-in basis, and there is no need to call our office first. If your photo has special requirements you need to call in advance and set up an appointment. The most common specialty size photos we do are UK photos, Irish photos, and Canadian photos; but our photographer can do all types. Please print and bring in your photo requirements. Click on the service you require below for more information or call us to inquire further. 2″ x 2″ standard size photos can be done on a walk-in basis. Click here for the requirements. 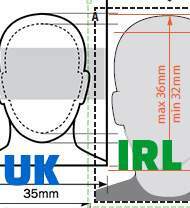 Photos for intl passports have special requirements and require an appointment. 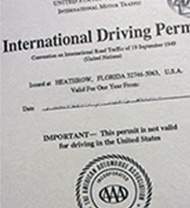 A1 Passport suggests getting an intl driver permit before going overseas, click here for info. 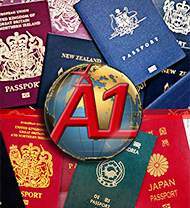 A1 Passport can do authentications; call us for information about this service. A1 can help with your translations, call us for more information about this service. Photos for U.S. 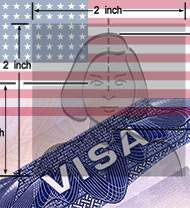 Visas (2 x 2 inches or 51 x 51 mm) do not require an appointment. 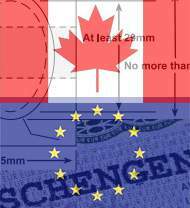 Photos for European countries, Australia, New Zealand, Canada, etc. require appointments. UK and Irish photos are done by appointment only. Click here for more information.